In the most general sense, eczema can indicate any one of a number of skin conditions that cause the skin to become swollen and itchy. Often when a person says they have eczema, they are referring to atopic dermatitis, a chronic condition that is the most common type of eczema. Atopic dermatitis causes the skin to swell, crack, and ‘weep’ clear fluid. Other types of eczema include hand, nummular, and seborrheic dermatitis. It is also important to remember that eczema is not contagious, and that it can be aggravated by stress or other emotional disorders. The symptoms of eczema – redness, swelling, cracking, weeping, crusting, thick skin, and scaling – are often managed with over-the-counter creams and moisturizers. In cases where symptoms become severe, steroid creams or oral steroids may be prescribed. Antibiotics may be administered if a bacterial skin infection develops in an open sore caused by scratching. Oral antihistamines are recommended to relieve itching, and oral corticosteroids to reduce inflammation. Perhaps the most significant measure for preventing eczema flare-ups is to avoid stressful situations, skin irritants, extreme temperatures, and to regularly use bath oils, lotions, creams or ointments to lubricate the skin. 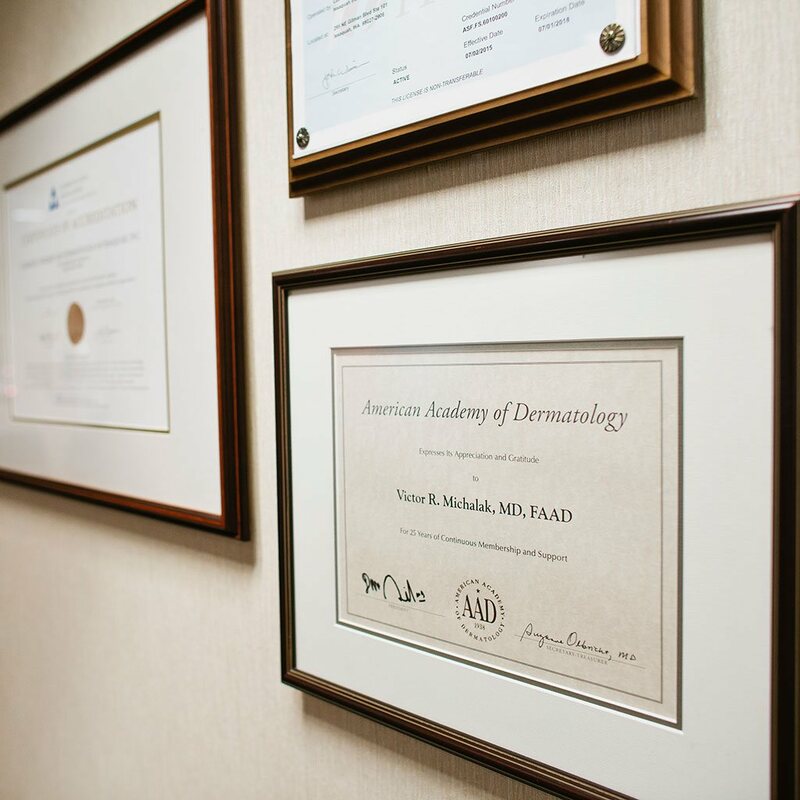 Please contact Issaquah Dermatologist Dr. Michalak’s office if you would like to learn more about the treatment options for eczema. Our office is located in Issaquah, a short drive from downtown Seattle, Bellevue, Renton and Redmond. Please dial 425-391-2500 extension 7 for Carolyn, our cosmetic patient coordinator.